Thank you for the beautiful epic emotional song from Really Slow Motion, love their work too. Ok , D letter for me then and I dedicate this post to my beloved Schiller !!! @supernova-8 Now time to electrify everything here)) Catch two special tracks from Sean Tyas and Stonface & Terminal. And for my tonight's reply to you I have ... More voltage coming up !! Cartoon - On & On (feat. Daniel Levi) [NCS Release] aka NoCopyrightSounds ! Martin Roth - An Analog Guy In A Digital World - " The Frankfurt born, Berlin based DJ & Producer Martin Roth first arrived in the spotlight of global underground dance music when alongside Eric Prydz and Deadmau5 he was named a Beatport Star of 2009 as a result of topping their sales chart no less than 5 times that year, achieving an incredible 16 Top 10 positions and receiving 3 nominations at the Beatport Annual Awards for his productions and remixes. " Which means that you can pick the letter that will inspire you the most from : S , N or D .
@wrinkledpaulsack Paul my sweetheart I cannot thank you enough for posting and sharing this song in here with us. I absolutely adored it! The singer is super cute and so sweet, her vocals are to die for and the lyrics are brilliant ! 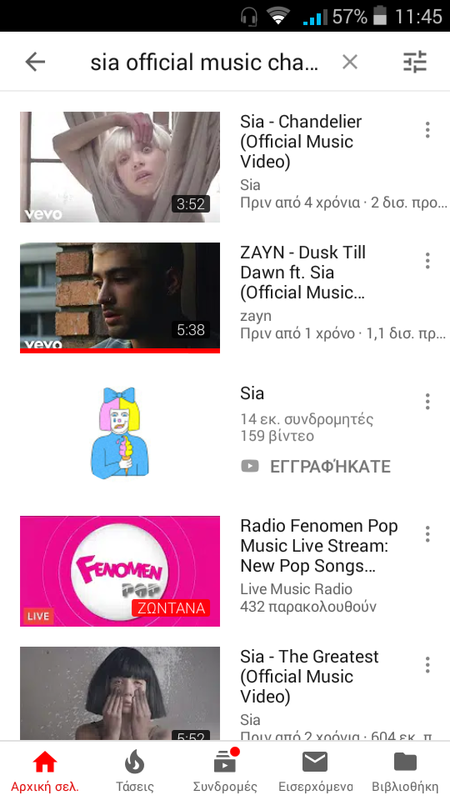 Of course I added your song on my playlists and I certainly looked for more of her work... So this one is for you with all my love ! Sadly I wasn't able to Post it earlier this day becuase the Forum was really buggy. Only a few songs are that emotionally or sad that they are breaking my heart. So today I only have two songs to post. Both are so emotionally because of their "background"/meaning. By all means my beloved U2 songs are part of today's subject but I've shared them already. P.S. @Marinus99 That video from the movie and that song , Great balls of Fire , classic man ! I love it and the video makes me laugh my heart out every single time ! Marinus I loved both your songs , although it's tough sometimes to listen to such sad emotional songs cause they make us feel so blue, especially your first song that had english subtitles was awesome for me. Thank you dear . How could a soul not feel this sorrow surrounding us? You are welcome sweetheart, I also liked the Roses version more. As a DJ ? I will do that Saby! Ahaha...In my next life for sure !! Will you be my partner in crime then? We could play music together on the deck and lose ourselves in music... Btw, I loved your songs, especially the first one. Congrats partner, haha. Red is my fave colour and Scarlett was defo my thing ! PureEnergy indeed ! Taken from King : Paul van Dyk's album 'Music Rescues Me' - Music does rescue me, that's for sure ! Ok, for this special track ...Please wear your earphones dear and prepare yourself for an 8Dimensional trip ! Alright ...You are ready to continue with our adventure by choosing from R - A or Y ! @Majstor-Matt Matty I recalled something else tonight. One of your fave movies is the American Beauty. Correct? This is the movie's soundtrack as you know..
And this is a track that I love from Jakatta and as you can listen it was certainly inspired by this movie's soundtracks. So many people say that music these days isn't good, that it has gone downhill. I think they're listening to the wrong music. There are people with incredible talent and soul.. Just look at Sia. I do ... Look at her ... And not just me Osman. 14 Millions of Subscribers on youtube and Billions of likes for her songs. That doesn't happen if the singer is not genuinely worth of all this love, admiration and support dear. Yeah, the first song affects me deeply everytime i listen to it. It's a song from the perspective of the animals. Today I'll show you 3 singers with really great voices. I discovered the first singer randomly on youtube. He participated at the german "The Voice". @supernova-8 I like all track by PvD. Thanks, sweety)) Let me introduce you Jon O'Bir. And his track Answers.